A 10 year background in Health & Fitness Club Management laid the foundations for Pauline’s venture into the world of complementary therapies, which began in 1994. A year out to travel in 1996 provided an amazing range of new challenges and experiences before settling back in the UK to begin her full time journey into life as a massage practitioner. Over 20 years later that journey has been, and continues to be, exciting, rewarding and ever evolving. Most notable events include becoming a tutor for Academy of On Site Massage (AOSM) in 2000, director and owner of AOSM in 2006, development of the AOSM corporate services division and in particular, the growth of On Site Massage Association (OSMA). 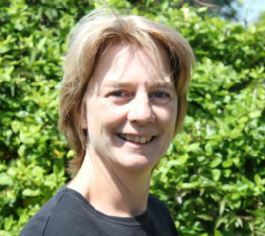 Having written articles for a number of magazines over the years Pauline has developed a keen interest in writing and provides blog posts for OSMA and articles for the membership forum. Away from massage Pauline is a hockey fanatic (the field variety, not on ice!) and continues to play today. Whilst she can still run she will still play (she just doesn’t run as fast as she used to!). Alongside her commitment to AOSM and OSMA, Pauline runs a successful private practice providing sports massage and other therapies, the majority of which is for fellow hockey players.